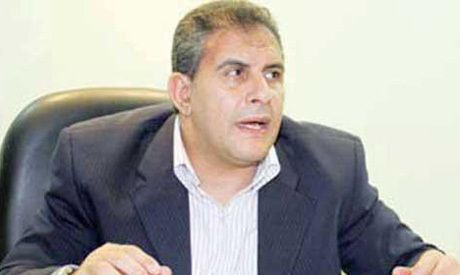 Former Ahly footballer Taher Abouzeid has been announced as Egypt's new sports minister in the post-Morsi cabinet. He will be succeeding El-Amry Farouk who retired after the current political conflicts erupted. The 51-year-old said Monday that he is aware of the current issues regarding the Olympic Committee and the regulation of clubs. He refused to give concrete answer to the press when asked about his plans regarding the resumption of the football league. "It is too early to talk about the league resumption now," he said. The premier domestic competition has been suspended indefinitely since the army toppled president Mohamed Morsi on 3 July following mass protests against his rule. Abouzeid was a star player in the Egyptian national team in the 1980s. He inspired the Pharaohs to win the 1986 African Cup of Nations trophy. He also starred with Cairo-based Ahly, collecting a large number of trophies and awards with them, including more than 15 domestically and five continentally.